← 23.4 Byzantine Text Type. Sinaiticus ±350 A.D. It contains the whole Bible. It is deemed by far the best witness of the New Testament. Dr. Constantin von Tischendorf. Wikipedia. 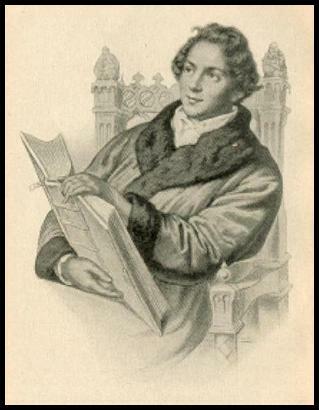 During 1844, Dr. Constantin von Tischendorf, a lecturer at the University of Leipzig, visited the monastery of St. Catherine at Mount Sinai, on a mission to search for old manuscripts. In a waste-basket intended for lighting the oven of the Monastery he discovered 43 parchment pages. It had been taken from the Septuagint, a Greek translation of the Old Testament. Tischendorf was allowed to take them with him, and he published it as Codex Frederico-Augustanus, to the honor of his patron at that time, the King of Saxony. During a second visit in 1853 he found nothing, but with his third visit in 1859 he donated a copy of the published codex to the steward of St. Catharine’s Monastery, upon which the steward showed him his own copy of an ancient manuscript, carefully concealed in his cell. Since Tischendorf was due to leave for Cairo the following day, he was allowed to study it during the night. In Cairo he met the abbot of St. Catharine’s and begged of him to have the manuscript brought there. During the next two months he, with the help of a pharmacist and a bookseller managed to copy the more than 110,000 lines of text. With the help of Czar Alexander 11 of Russia, protector of the Greek Church as well as his patron, Tischendorf succeeded in having the manuscript donated to Russia. In return the Czar donated a silver shrine for St. Catharine, as well as 7,000 roubles for their library, 2,000 roubles as well as several Russian “honorary degrees” for the monks. At the expense of the Czar the codex was published with type cast for the purpose to resemble the characters of the manuscript. In 1933 the British Museum, London, with a grant from the Government and private donations, succeeded to buy the Sinaiticus from Russia for £100,000. Initially the Sinaiticus consisted of the complete Old and New Testaments, as well as the Epistle of Barnabas and the Shepherd of Hermas, two early Christian books from the second century, as well as certain Old Testament apocrypha. Parts of the Old Testament are lost. The New Testament is still intact, written in carefully executed uncials and completely legible. It was done by a scribe who unfortunately made many superfluous mistakes. Yet the source from which it was copied can be identified as an early example of the superior Alexandrian text type. Usually two types of correctors are identified. The first at the scriptorium itself before the manuscript is released. It could be the scribe himself or his overseer. The other type of corrector is someone who at a later date endeavored to “conform” the manuscript to agree to the one he had at hand. In Sinaiticus at least four different correctors can be identified. As long ago as the time of Irenaeus who died in 202, he already wrote a plead to future scribes to copy a document without altering its content. In the quest to establish the original autograph, the original wording of a manuscript is of paramount importance, and not the alterations that could have been made hundreds of years later. Sinaiticus is kept in the BritishMuseum, London. At present it is made available on the internet due to its prime position in the list of New Testament manuscripts. It is just amazing how God kept this important manuscript safe, while so many others were lost.